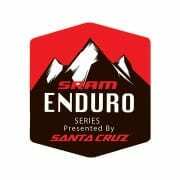 Event Management Solutions Australia today announced the successful recipients of the 20 Wildcard entries to Shimano Enduro Tasmania to be held on Sunday April 9 in Derby, Tasmania. With the event expected to sell out via the Enduro World Series Lottery system, a select number of wild card entries are allocated to event organisers to be awarded to deserving riders. Event Director, Ian Harwood said that with over 100 applications for the 20 spots it was a difficult decision making process. 5 spots were awarded to Mountain Bike Australia to kick start their Junior Development program for Enduro, ensuring that we have a constant stream of world beating riders coming through the ranks. The remaining spots were awarded to a range of riders, some with outright speed on the bike, to a local connection or a long heritage in the sport and some because they are the embodiment of the EWS spirit of riding new and exciting places. A public lottery will open for remaining spots at 10:00am (AEST) on January 25 and remain open for 24 hours. Successful applicants will be informed on January 28. In a new initiative in the EWS a final 10 entry spots will be allocated on a roll down basis to the quickest riders who have not yet secured an entry. 1 spot will be reserved for a female rider. In the roll down process, riders must commit on the spot to taking an entry or the place will roll down to the next rider on the time sheets. Riders who want to participate in Challenger Tasmania, the come and try format to be held on Saturday April 8, will be able to enter from February 15. Entries to this will be limited to 200 riders.